← Build Your House on a Rock! 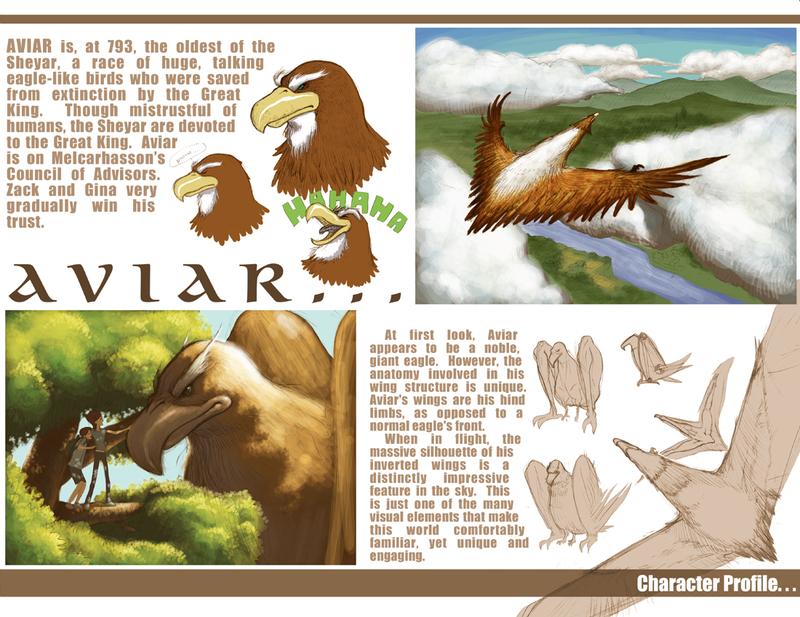 A year and a half ago, I began serializing my epic fantasy The Wishing Map on this then-new blog site. 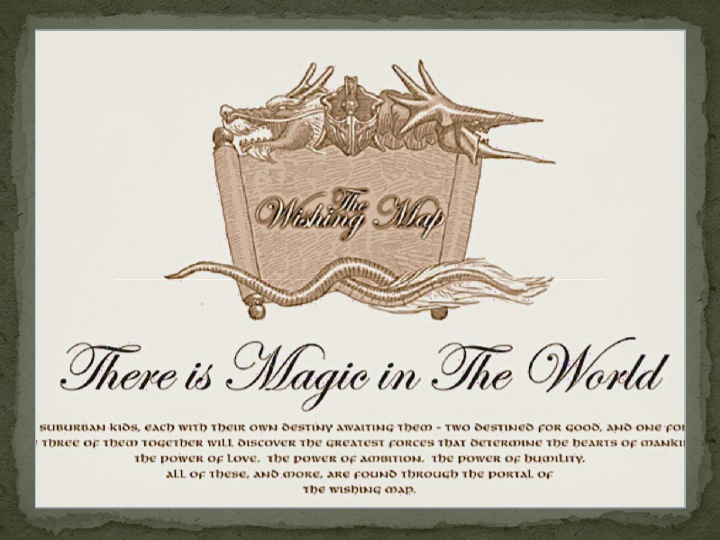 Because most of my followers showed up after that, I’m re-posting The Wishing Map episodes each week on “Wishing Wednesdays.” But enough blather–the adventure begins now! Bedtime is the time to stall. And asking for “a story” is the best way to do it. In response to such requests, many years ago I began improvising an ongoing story for my daughters about two princesses, who coincidentally happened to have the same names as them. Princesses Amanda and Elizabeth lived in a castle at the end of a cul-de-sac with Queen Mommy and King Daddy (hey, when you’re five years old this is great stuff). The epic continued into the middle of middle school when King Daddy, who happened to be working in the movie biz, had an offer from another magical kingdom to pitch ideas for an animated TV series. The first thing he/I thought was, “The Wishing Map!” Calling it “a modern American Chronicles of Narnia,” the Disney folks were enchanted. I worked on the storyline and characters—the two leads having morphed into a brother and sister named Zack and Gina Dore—while illustrators created the concept art. Everything was magical until one day some mid-level minions said, “Holy bleep! This is going to cost a ton-a-money!” In computer animation, the more settings and characters a show has, the more it costs. And The Wishing Map had scads of both. So the animated series was put on hold until its creator (me) could create a book series that was successful enough to justify spending a bleeping ton-a-money! Some years have passed. It took a while for this script writer to learn how to be a novelist. In the meantime the Disney offer cooled. Will it ever happen? Don’t know. Don’t care. I’ve fallen in love with writing fiction! So I’ll keep on going either way. Want to join me? The journey begins now! When Zack was seven years old, he noticed that the Centerburg Northern always took precisely eight minutes to pass Middleton. Always. So he’d come to think of Middleton as exactly eight minutes long. He’d taken comfort in this, secure in the fact that he lived in an eight minute long town. Then one day, right after one of Aunt Aloysia’s visits, the train hurtled past in four minutes. Impossible. How did Middleton get to be four minutes long? It bugged him, really bugged him. If Middleton could change, what else could? Would he wake up one day and find his dad turned into a hippopotamus? His house into a lake? His sister into a bowl of ice cream? (Well, some change can be good.) Of course, he was older now, and understood about things like rate and motion. Still, he’d never felt quite as certain about anything since then. After all, if time and distance weren’t fixed, what was? Nothing. Because, like ants in the pantry, the uncontrollable, the unknown, will always find a way in. And for the Dore family, the way in was Aunt Aloysia. Thoughts: Is our concept of reality, like Zack’s “eight minute long town,” based on limited experience? If there really is “magic in the world,” what needs to change before we can find it? To read The Wishing Map 2, click here. 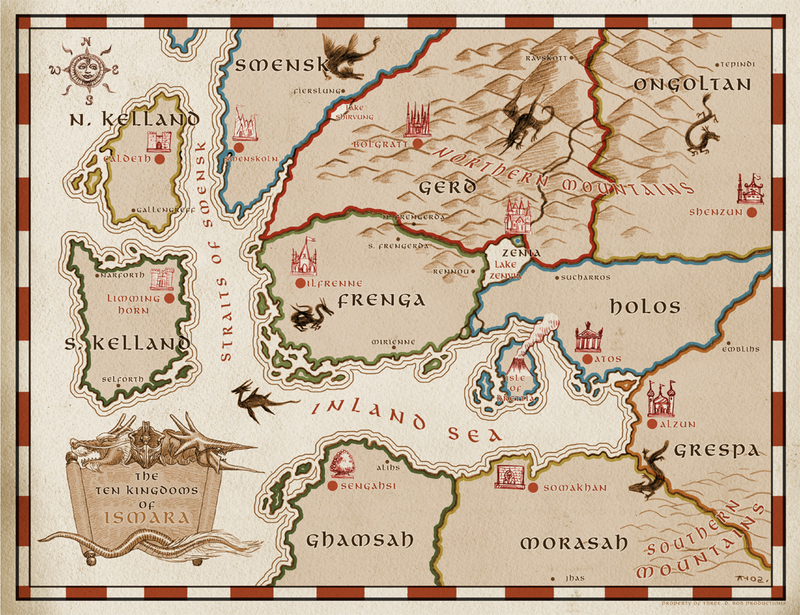 This entry was posted in Culture, Story Power, The Wishing Map and tagged adventure, Chronicles of Narnia, Disney, epic, fantasy, story, The Wishing Map. Bookmark the permalink. Blessings till it hurts, Rose! Oh great! Happy you’re re blogging this. I started reading before finding the posts from the beginning and really liked it, but then I got bogged down with stuff, was seldom on my reader and didn’t get round to continuing. This makes it very easy. Nice to have that affirmation of the idea, Claire! I see magic happening often, but you put a fun, new spin on it, Mitch. I highly recommend the stories, especially adults needing to connect with their inner child!